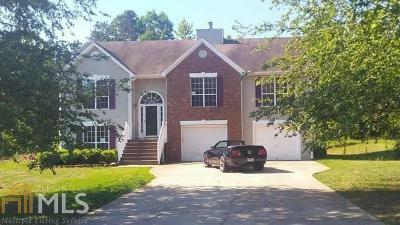 Gorgeous, split-level 5 Bedroom / 3 full bath BEAUTY. This spacious and stately home was the Builders Model Home. It is the Largest floorplan in Cody&apos;s Plantation! Priced with lightly-loved condition in mind. As-Is. ALARM IS SET - See the Private Remarks for code. Buyer will LOVE the CCTV Multiple Camera System that CONTINUOUSLY monitors the entire exterior! 6 remote-control ceiling fans. Stainless Appliances to Stay: Fridge, Dishwasher, Oven, Microwave. 2-sided wood burning fireplace between Dining Rm & Family. Rm. Large Walk-In Mstr Closet. His & Hers Vanities. Corner Garden Tub. 2 Storage Rooms downstairs! Large upper deck overlooking level PRIVACY-FENCED backyard. Lower level PARTY DECK & suspended shading! AMAZING 10x20 outbuildng for PERFECT WORKSHOP!